Between May and November, about 80% of my photography revolves around weddings, and I love it! Because Photography is not simply a career for me, but a way of life, I always love to show off some of my pet projects. Whether it’s shooting personal family events, doing corporate ad work, or even just screwing around, photography is a real outlet for creativity. And so in the spirit of photography being fun and free spirited, I present to you (could I build this up anymore?) 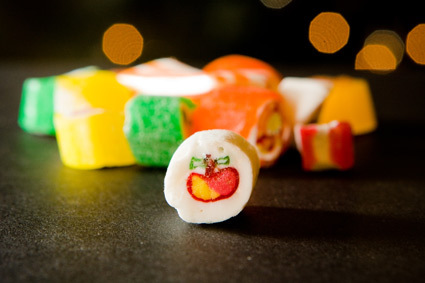 Hard-Tack Candy Portraiture. You see – every Christmas Malley’s chocolate (a Cleveland favorite!) creates multiple candy and chocolate gift boxes for you to send off to friends and family. One often overlooked candy creation, is their gift basket of hard-tack candy. Don’t know what hard-tack candy is? 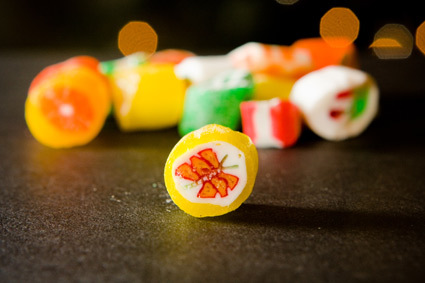 It’s that strange colorful porcelain-like candy that your grandparents have in their house – usually displayed proudly in ashtray candy dishes – it’s a real old time classic. So why do a photographic tribute to it? It’s art. I kid you not. 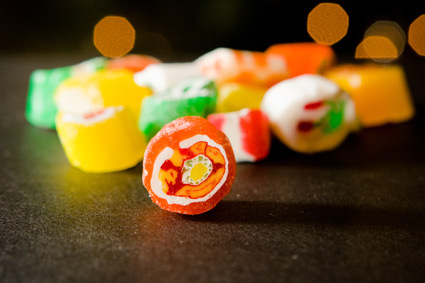 Usually when you’re politely eating your piece of this stuff, you don’t notice the tiny details that make this candy special. I recently had access to a gift basked of this stuff – and while most of my friends were quick to ignore the hard-tack candy (obviously going straight for the chocolates) I took a close look at these tiny marvels. And what did I see? Artwork. 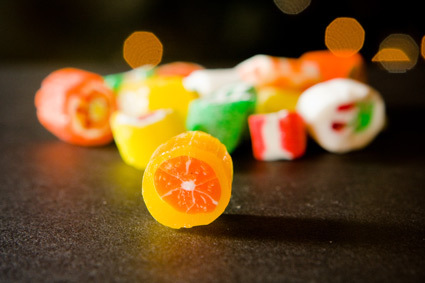 High-fructose, sugar-coated artwork. Seriously – look at all the work this stuff takes to make! It’s not just candy! each piece has it’s own design, with tons of detail, and intricacy laid into every piece. 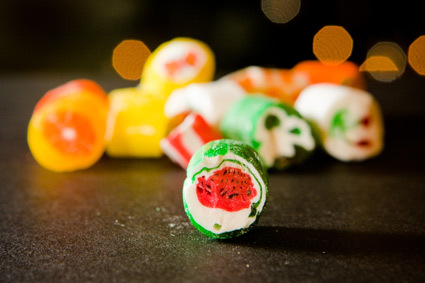 There are watermelons, apples, even strawberries carved into these candy pieces! Want to see what I’m talking about? Below are my snapshots of the hard tack-candy. 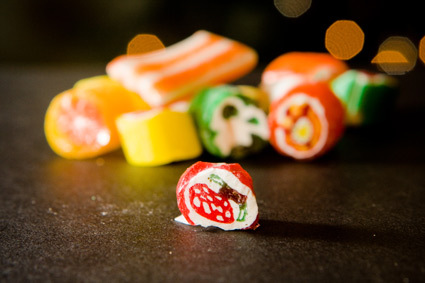 I’ve annotated below each piece of candy my best guess at what the candy artist intended it to be. ok... I need help on this one please. I had originally thought it was either a space alien, or a diagram of a plant cell. The last one is an overeasy egg on a slice of toast! That is my favorite kind of candy!!!! Breakfast!!!! 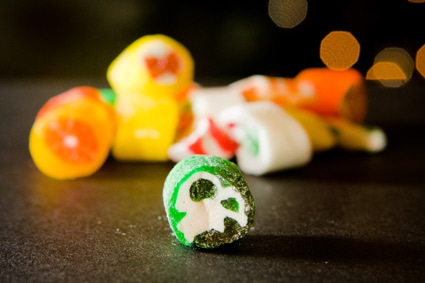 The last one is a photo of the inside of a person’s stomach after they have eaten the candy.